It’s a busy week here at Castlethorn HQ with two big launches ahead of us this weekend in Rathborne Park and Dún Ríoga, Dunshaughlin. We’re all things go down in Dunshaughlin getting everything ready for our potential purchasers and building up an appetite at the same time (get it?) – just in time for the next in our series of Where To Eat. 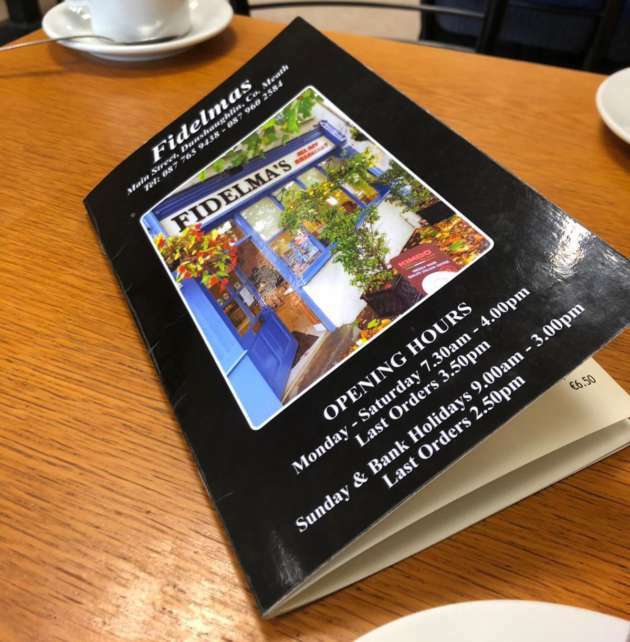 I couldn’t take a trip down to Dunshaughlin without stopping by Fidelma’s. A local café which apparently has an international reputation for the ‘biggest fry’s known to man’. 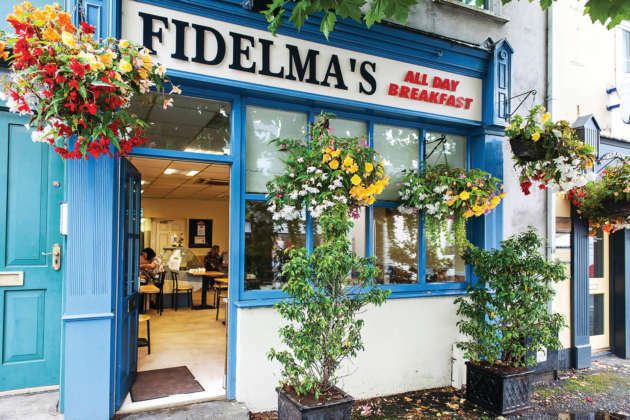 Prior to this week, I had never stopped to eat anywhere in Meath before but everyone I asked recommended Fidelma’s and her famous fry’s and I knew I just had to try one. Located on a cosy corner as you enter the town the bustling café looked warm and inviting as I approached. I was instantly greeted by an equally welcoming and cheerful waitress who showed me to my table and immediately offered me a tea or coffee. One quick glance around the room and it was clear everyone was here for one thing – breakfast! Despite it being nearly 2pm a great ol’ fry up was just what the doctor ordered after a long morning on site. After witnessing the enormous proportions on the other punter’s plates I settled on a medium fry and a cuppa. My plate arrived full and wafting with the smell of greasy goodness. A medium breakfast consisted of three sausages, two slices of bacon, a hash brown, grilled tomato and a fried egg. On the side there were not one but 8 slices of toast! Half of the bread was white while the other was brown soda (yum) accompanied with plenty of butter and jam. If this was the medium breakfast what would the large be like! I tucked in straight away and basked in the oozy deliciousness of my fried egg piled high on top of toast, lashings of butter and bacon – my favourite combination. I had the whole plate demolished in a matter of minutes washed down with gulps of warm tea, of course. My bill came to €7.50 – an absolute steal considering the amount of food I devoured and a pleasant surprise to a Dublin girl who has come accustomed to extortionate brunch prices. 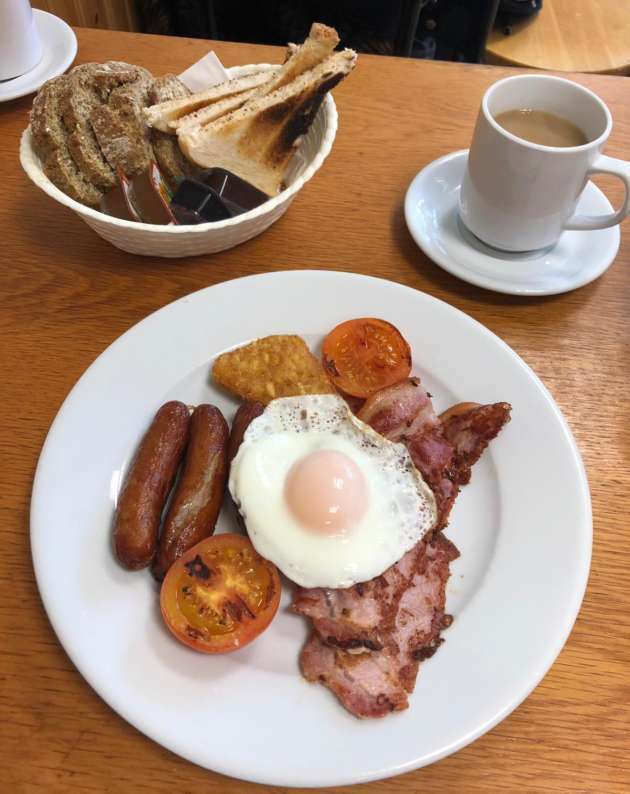 The breakfast menu is available all day so there are no excuses not to give Fidelma’s fry a try. Great food and good service made for a very pleasant breakfast-in-the-afternoon experience and I would have no hesitation to do it again. Dún Ríoga, Dunshaughlin is a brand new Castlethorn development of 3 and 4 bedroom homes launching Saturday & Sunday 13th & 14th October 12pm-2pm.